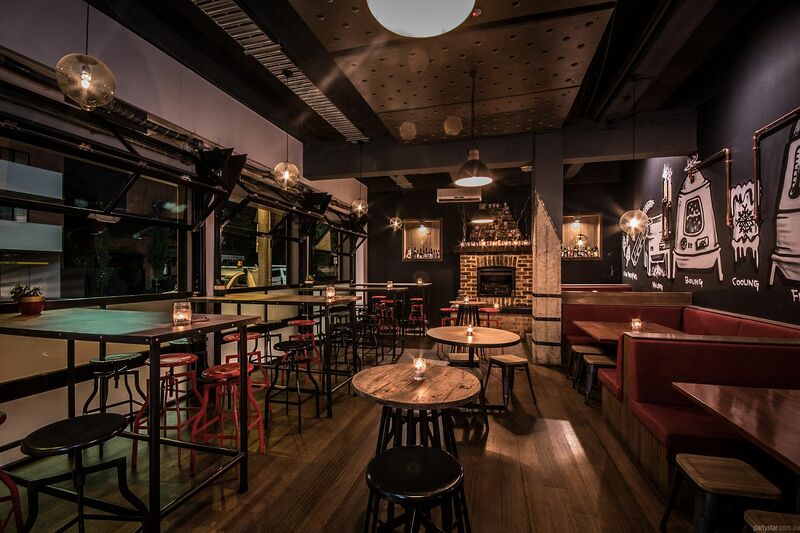 Situated at the corner of Peel Street and Punt Road opposite St Kilda junction, the Windsor Alehouse is renowned for a fantastic range of craft ales and delicious food cooked on the premises. 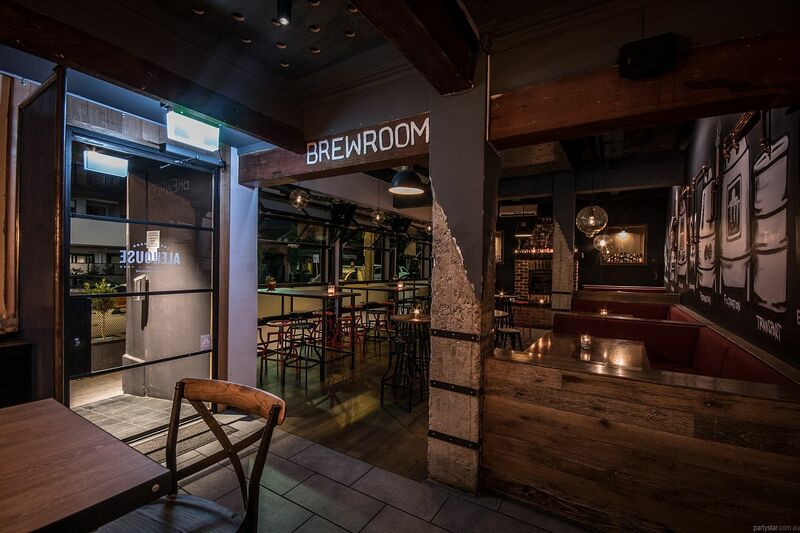 The Brew Room consists of large booths, tall tables, low tables and lots of mingling room. Move the tables to the side for even more party space and presto - add a fantastic dance floor for your soiree. 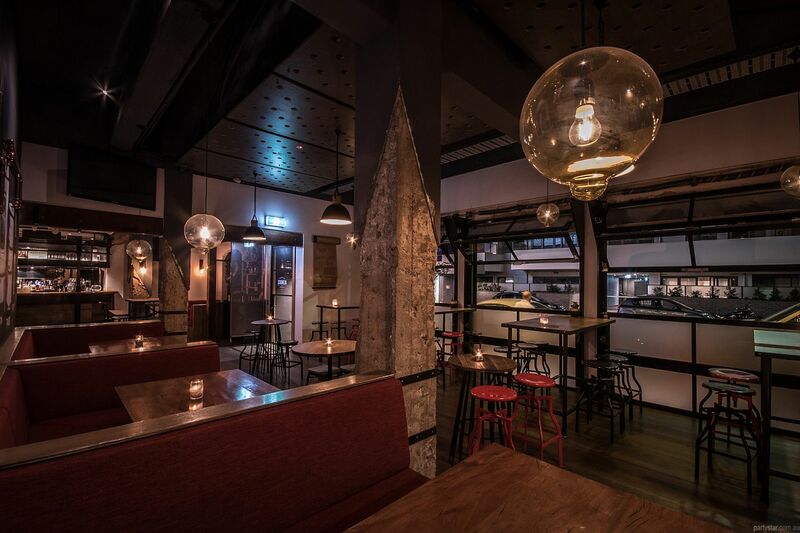 The decor is rustic and broody, combining style with old world charm. 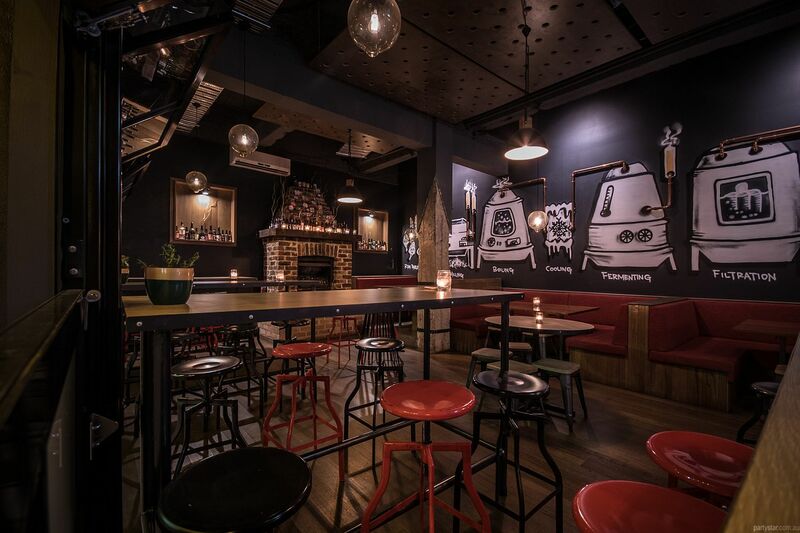 A bricked fireplace and brewman's mural bring to mind a cosy but celebratory beer cave. 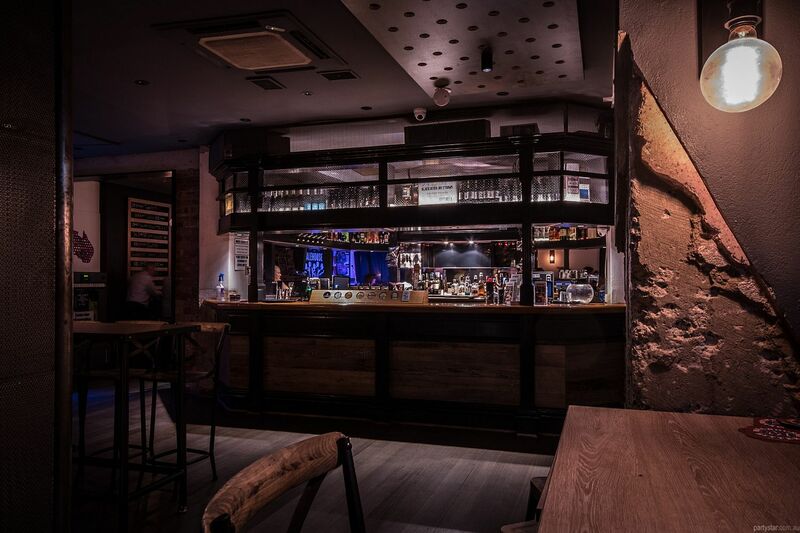 Rest assured that drinks available at the main bar just a few metres away, include wine, spirits and delicious cocktails. Smoking area: Smoking area runs parallel to the function space with windows that open and close. Parking: Free parking outside on weekends, and after 6pm on weekdays. Minimum guests are strictly 60. Available every day with no min spend or hire charge.